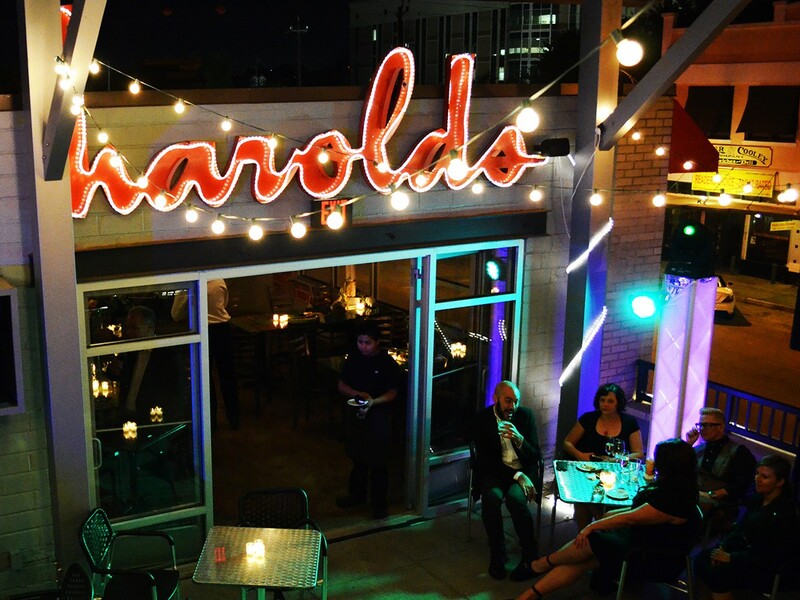 The picturesque balcony of Harold's Restaurant & Taproom in The Heights.Photo courtesy of Harold's Restaurant & Tap Room. 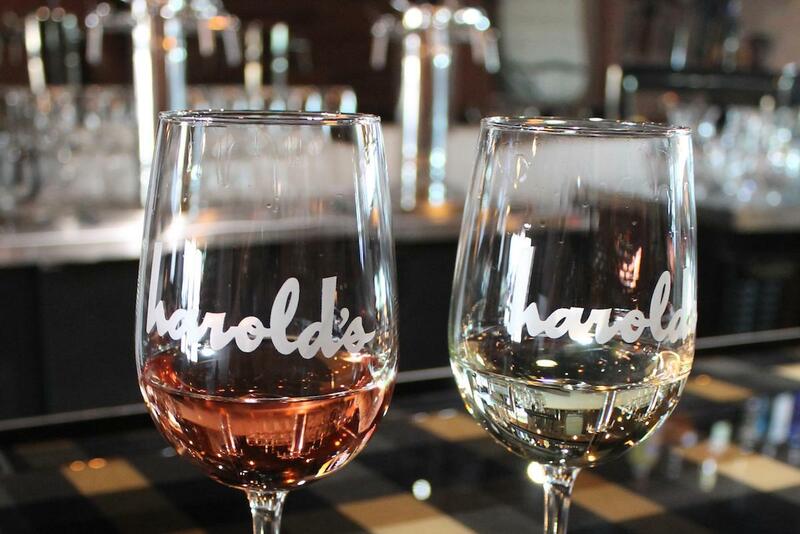 On Sunday, December 31, join Harold’s Restaurant & Tap Room at 350 West 19th for daytime and nighttime celebrations that say goodbye to 2017 and warmly welcomes 2018. The second-floor terrace overlooking a picturesque, historic area of The Heights is perfect dining venue for groups, families and couples, while the tap room is perfect for casual get-togethers. Harold’s is hosting a four-course New Year’s Eve dinner with seatings until 9:30 p.m. Start with Champagne and housemade bread and butter, then move to appetizer selections that include Chef Antoine Ware’s outstanding gumbo, baked oysters topped with mushroom and foie gras duxelles or the inventive Rice-Crusted Pork Belly with red bean ragu. Entrée choices include Grilled 44 Farms Steak served with Wilted Garlicky Spinach and Potato Rosti as well as a warming Bouillabaisse with tomatoes, onions, garlic and olive oil. The complete menu is available online. Seating for New Year’s Eve dinner is limited, so make reservations now either by calling (713) 360-6204 or via the Harold’s website! The cost is $65—or bump up slightly to $85 to include wine or cocktail pairings—plus tax and gratuity. After dinner, the party doesn’t have to end—nor do our guests have to get out and drive somewhere in New Year’s Eve traffic. The festivities continue downstairs in Harold’s Tap Room. Open until 2 a.m., the tap room includes classic cocktails perfect for after dinner such as the Old Fashioned or Negroni, wine selections on tap, sparkling and other wines by the bottle and some of Houston’s best, locally brewed draft beer from Saint Arnold, Eureka Heights, Town & City and more. 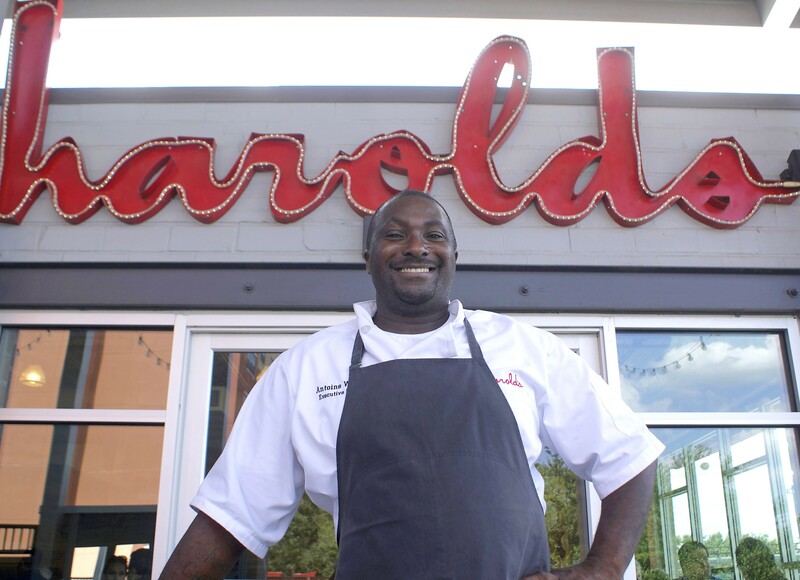 Executive Chef Antoine Ware of Harold’s Restaurant & Tap Room in the Heights neighborhood of Houston. Photo courtesy of Harold’s Restaurant & Tap Room. For those who prefer to dine out during the day, Harold’s is also hosting New Year’s Eve Brunch. It’s a Creole-style affair that runs 10 a.m. to 3 p.m. with chef Antoine Ware’s hearty a la carte dishes such as decadent Bananas Foster French Toast, our “famous” Big Nasty Biscuit with buttermilk fried chicken and cheddar cheese-sausage gravy or the Grits & Grillades, a grilled pork cutlet in grillade sauce with pimento cheese, stone-ground grits and a fried egg on top. View the full brunch menu online. Call (713) 360-6204 or visit the Harold’s website! for more information. Happy New Year, and we hope to see you soon!